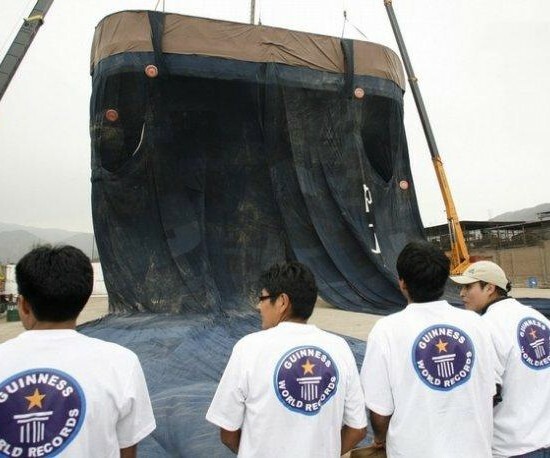 Seamstresses in Peru set out to set a Guinness World Record for the largest pair of jeans sewn. 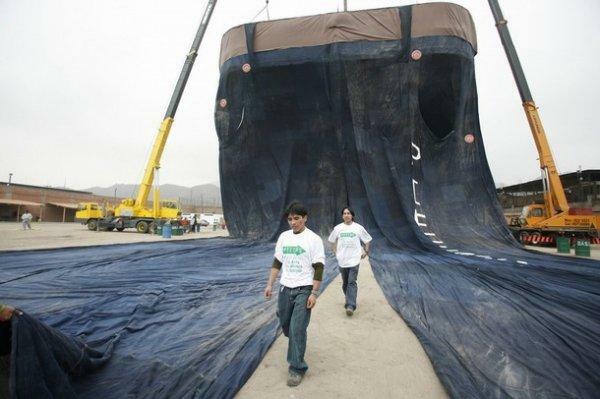 The pair of jeans measures 141 feet tall and 98 feet wide and weighs in at 7.5 tons. The current record is held by the city of Medellin in Columbia. That pair was 114 feet tall and 82 feet wide.